As it turned out, the broken back was a pretty good thing for Kennedy Noem, politically speaking. It wasn’t good for her basketball, of course, or her long-term college hoops plan. If things had gone according to that plan, she’d be in her senior year at the University of Sioux Falls, playing forward for the Cougars. 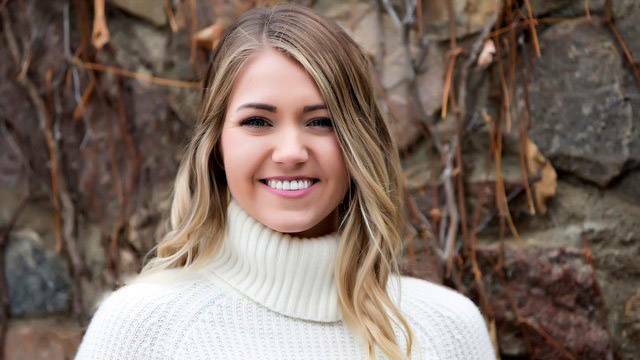 Instead, the 21-year-old daughter of Republican U.S. Rep. Kristi Noem is finishing up her political science degree at South Dakota State University and preparing to graduate a semester early. She is also working for the transition team that will help shape the new administration in Pierre, after her mother is inaugurated in early January as South Dakota’s first woman governor. All of which makes that serious back injury — and her withdrawal from the USF basketball program after her freshman year — easier for Kennedy Noem to accept. Or even, in an odd way, to celebrate. The campaign work and transition-team job is just the start. She’ll have a position somewhere in the governor’s office come January, although she’s not sure yet exactly what it will be. People who have worked with her have no doubt she’s ready for the responsibility. She understands what it means to recover after a setback, too, as she did following the debilitating back injury. She was going up for a last-second shot in a basketball game during her sophomore year at Hamlin High School when it happened. She was hit from behind by an opposing player on that shot, and the collision caused the fracture. It wasn’t her first “not-very-fun” experience on the hardwood. As a freshman, she was tripped while running for a loose ball and someone landed on her head from behind, driving her face into the court. The impact knocked out two of her front teeth and chipped two others. The initial treatment was followed by crowns, temporary implants and eventually permanent implants. None of that dampened her love for basketball, but it did initially inspire an interest in studying sports medicine in college, which was her plan for a while. “Then I realized the political realm had a bigger impact on me than I thought, and I changed to political science,” she said. And even though the broken back was a major setback in her college-hoops plans, she tried to make it work anyway, at USF. Ongoing back problems and advice from her doctor convinced her to give up basketball at the college level. And despite the injuries, she tried to be upbeat and keep her overall health in perspective: “My knees are perfect,” she said. Which is not something all college basketball players can say. With a repaired back, solid knees and a different plan, Kennedy Noem transferred from USF to SDSU, losing some credits that didn’t transfer and complicating her plans to graduate in three years. But without sports she could focus on her schoolwork, loading up on courses while taking on part-time jobs -- a restaurant here, a seed-company there -- to help cover the costs of her education. Kristi and Bryon Noem helped along the way. But the main burden of higher education for Kennedy Noem, and for her older sister, Kassidy, was left with them to handle. That’s part of why Kennedy worked to graduate early. But she also wanted a full learning experience, so she took advantage of internship opportunities in political science. One was in Washington, D.C., with the majority leader of the U.S. House of Representatives, Rep. Kevin McCarthy of California’s 23rd congressional district. The other D.C. internship was with the House Government Reforms and Oversight Committee. Then this year she had an internship during the state Legislature working with McCaulley, a Sioux Falls lawyer, lobbyist and former state legislator. Now she is working on the transition team with McCaulley, a long-time legal counsel for Kristi Noem and a leader in the unofficial Kennedy Noem fan club. After her mother is sworn in, Kennedy Noem will join the administration. She expects her work on the governor’s staff to be challenging and rewarding. And she expects to make a difference. She also expects criticism about her place in the administration, just as she has already been criticized by some for her role on the transition team. She said none of that came as a surprise in a family well experienced in the realities of politics and public service. Kennedy gets support from her mom and other family members, and from members of the transition team. And she gets especially valuable perspective from Tony Venhuizen, chief of staff to Gov. Dennis Daugaard and liaison between the transition team and the governor’s office. Venhuizen is 36, but he already has a substantial history of political experience. He was just 19 in 2002 when he went to work for Mike Rounds as volunteer West River director during the GOP gubernatorial primary. Venhuizen was paid by the campaign during the general-election run and stayed on, at Rounds’ request, through the transition, returning to college in January of 2003. Like Kennedy Noem, Venhuizen earned a political-science degree from SDSU. He then went on to get a law degree from USD. Kennedy Noem maintains thoughts of going to law school herself someday, after her work in Pierre. And speaking of family connections, Venhuizen is Dennis Daugaard’s son-in-law. He was a key official in Daugaard’s 2010 campaign and part of that transition team. Then he went to work in the governor’s office, first as a senior adviser and then as chief of staff. Venhuizen has faced some of the criticism Kennedy Noem will face. She says she understands that it “doesn’t look great from the outside,” for her to be in a prominent role on the transition team or in the next administration. But she’s also looking forward to the challenge. Working hard is part of her DNA and her home environment, having grown up on the Noem farm where hard work is stressed and expected, Kennedy says. She is the middle child of the three children of Kristi Noem and her husband, Bryon, who owns an insurance company in Bryant. The three siblings were in a popular commercial in Kristi Noem’s breakout campaign in 2010, when she beat two solid Republicans in Chris Nelson and Blake Curd in the primary and then upset incumbent Democratic Congresswoman Stephanie Herseth Sandlin in the general. Kennedy’s older sister, Kassidy, who played volleyball at USF before transferring to SDSU to get an ag-business degree, is 24. Her younger brother, Booker, is 16. And they were featured in campaign advertising this year, as Kristi Noem pulled off big wins against Attorney General Marty Jackley in the June GOP primary and against Democratic state Sen. Billie Sutton in the general election Nov. 6. Kennedy Noem said she is very close to her mother and understands her in ways that other staffers cannot and could not. Kristi Noem is known for her tough campaign style and unflappable public persona. But Kennedy Noem said there’s much more to her mom than that. That’s daughter stuff, not staff stuff. Kennedy said that during her time in the hospital for back surgery, her mom was never far away, emotionally or physically. Or supportive pain, perhaps. Or both. Whatever led to the improvement of her own back ailment, Kristi Noem stayed in close contact with her daughter and her back problem — sometimes sensing Kennedy’s pain even while far off in Washington, D.C., doing her congressional chores. At one point, Kennedy Noem was planning on law school after finishing her undergraduate work. She was figuring to work next spring and start looking at law-school options. But those plans are on hold for now, as she prepares for different kind of challenge, one with historic implications and deep personal connections. And that once-broken back? Kennedy Noem says it feels just fine these days. And on any day that it doesn’t, her mom will probably be the first to know.